The John Wayne Ultimate Collection Only $4.99! 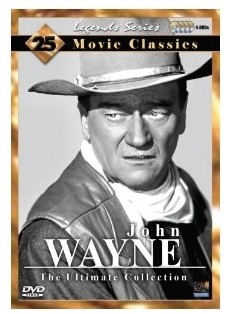 Amazon has a great deal on the John Wayne - Ultimate Collection 25 Movies for only $4.99! Amazing for 25 movies!!! You will also be able to get free shipping if you sign up for a trial of Amazon Prime, otherwise shipping is $2.98. PLUS you will get a $5 Video on Demand credit! This is definitely a great item to get now while the price is right and save as a present.